Rustico in Ballston, which is temporarily closed. 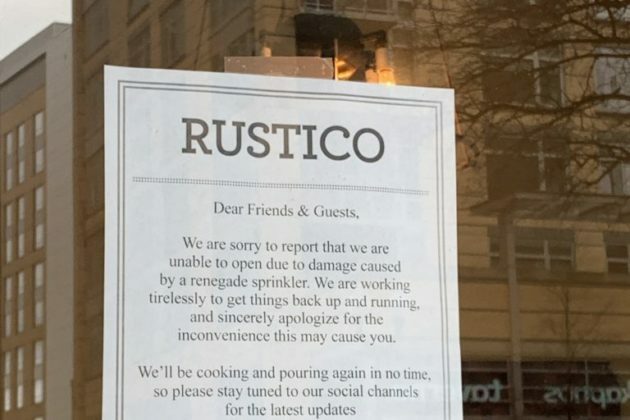 Signs posted at Rustico in Ballston, which is temporarily closed. 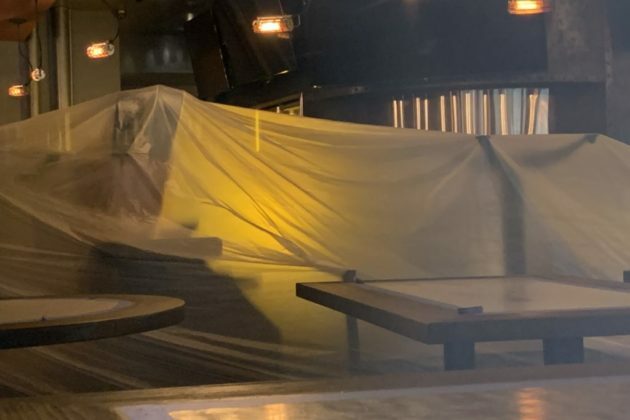 Tarps cover furniture at Rustico in Ballston, which is temporarily closed. 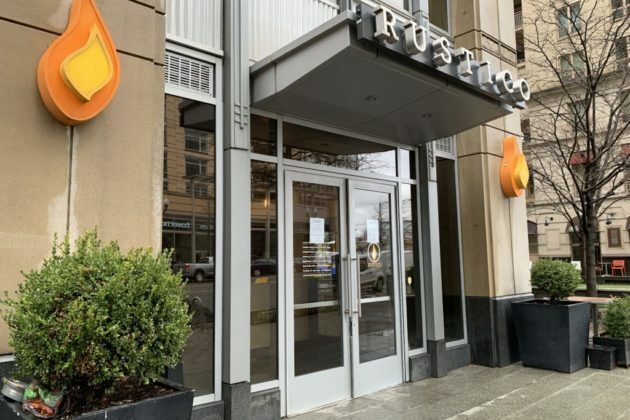 Water damage from a “renegade sprinkler” has resulted in the temporary closure of the Rustico restaurant in Ballston. The pizza and beer-focused eatery has been shuttered to allow for renovation work since last Tuesday (Jan. 15), and a series of tarps currently cover its bar. The restaurant’s general manager, Ryan Cline, told ARLnow that the sprinkler dumped more than five inches of water into the restaurant in total, prompting all sorts of challenges for the staff. “We are still doing repairs as fast as possible,” Cline wrote in an email. He added that he’s hoping to reopen the eatery by Feb. 1. In the meantime, Rustico’s original, Alexandria location, at 827 Slaters Lane, is still open for business. The restaurant opened up the Ballston space back in 2010.